Earl's Brake and Clutch Adapters Fittings are precision-machined to exacting tolerances for lasting, trouble-free performance. Quality you can count on, Earl's adapter fittings meet/exceed the minimum requirements for aerospace fittings and are perfect for custom brake and clutch systems. 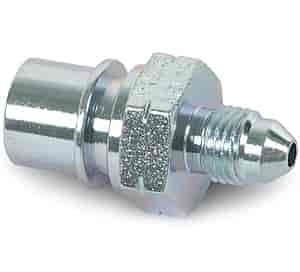 Earl's Brake and Clutch fitting adapters help when custom fabricating a line assembly that mixes old and new fitting sizes, threads and styles.